Michael, born 1982, died 1988. We will always miss him. earned my Ph.D. in genetics, worked in research, took time out to be a mom, and now teach high school biology and physiology at Culver City High. Peggy Simons added a comment on Profile. Peggy Simons has a birthday today. Peggy Simons updated profile. View. 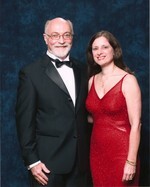 My husband Marc and myself at a 12/2006 charity dinner. The whole family - David, Marc, Stephen, Peggy, Rachel at the engagement party for the daughter of a friend. 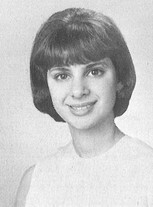 Our daughter Rachel graduated from El Rodeo and attended BHHS for three years before moving to a boarding school on the East Coast.